The Beacon Chat Height Fire Pit Table by The Outdoor GreatRoom Company offers a beautiful take on a classic fire table design. 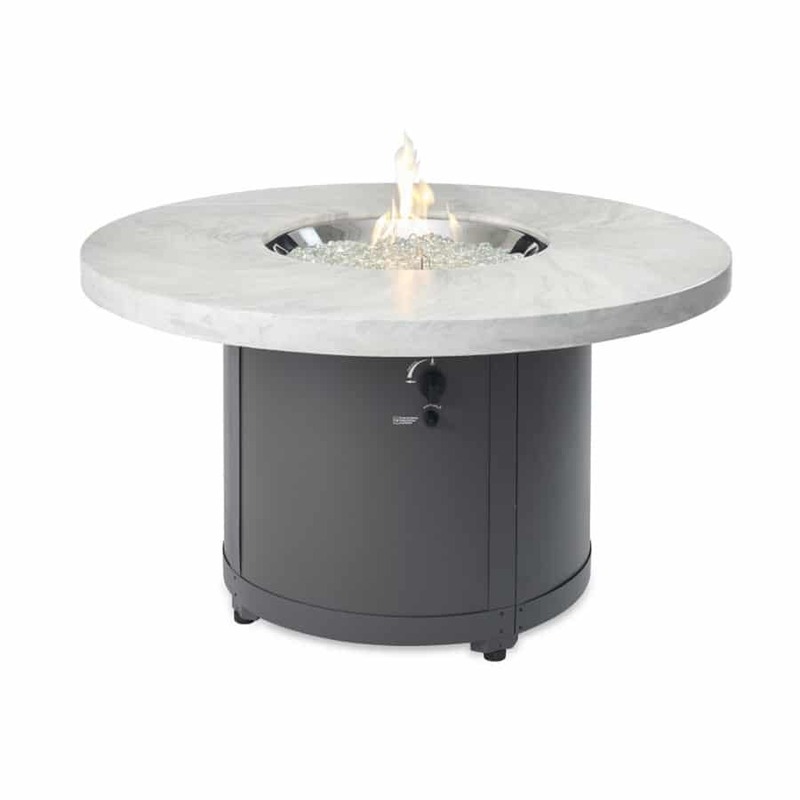 Featuring an extra durable poweder-coated base, this fire table has been built to stand up to the test of time in your outdoor entertaining space, while the Supercast and granite top options offer equally durable construction and attractive aesthetic. The 20-inch round stainless steel Crystal Fire Burner features 304 stainless steel construction and a 65,000 BTU rating for impressive performance. 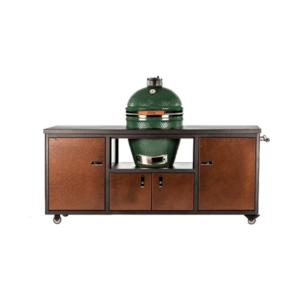 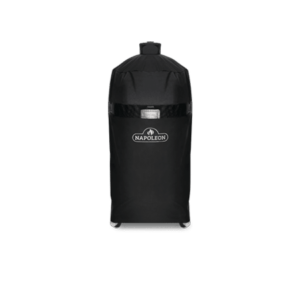 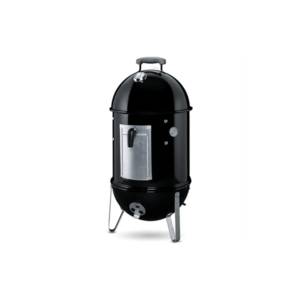 Integrated tank storage allows for easy concealment of a standard 20-pound propane tank for a professional and polished appearance. 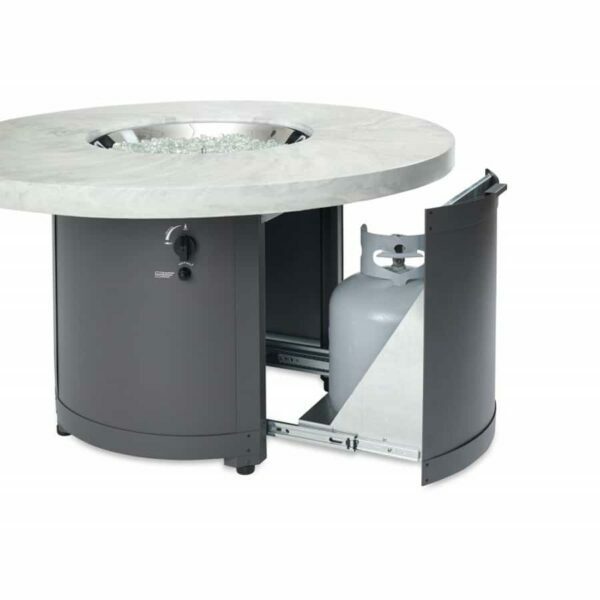 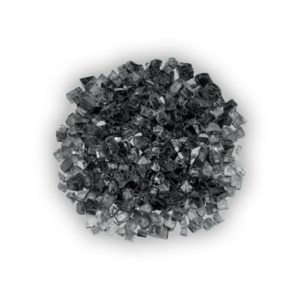 An optional glass guard, protective cover and matching burner cover are available to help you get even more out of your fire table. 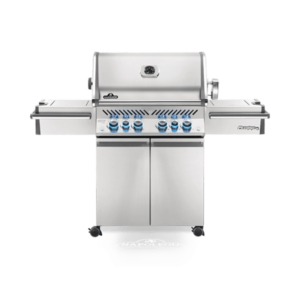 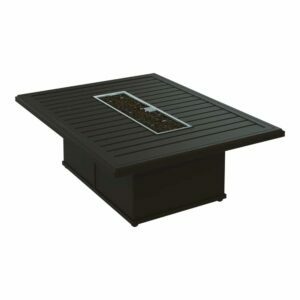 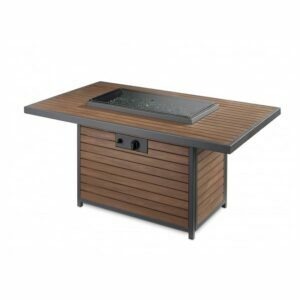 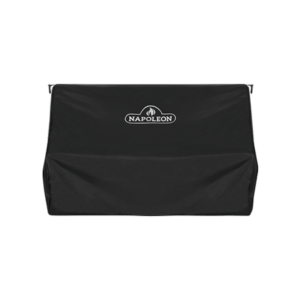 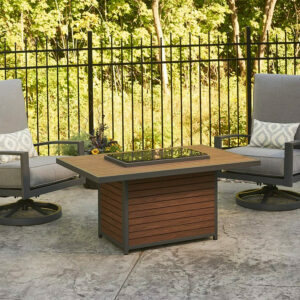 With its convenient 26.5-inch chat height design, this unit easily integrates into your patio space. 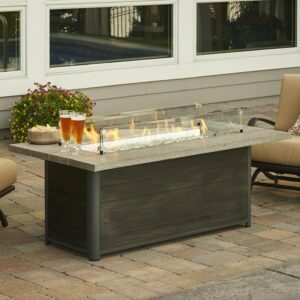 Give your next outdoor get-together a beautiful centerpiece with this fine fire table from The Outdoor GreatRoom Company. 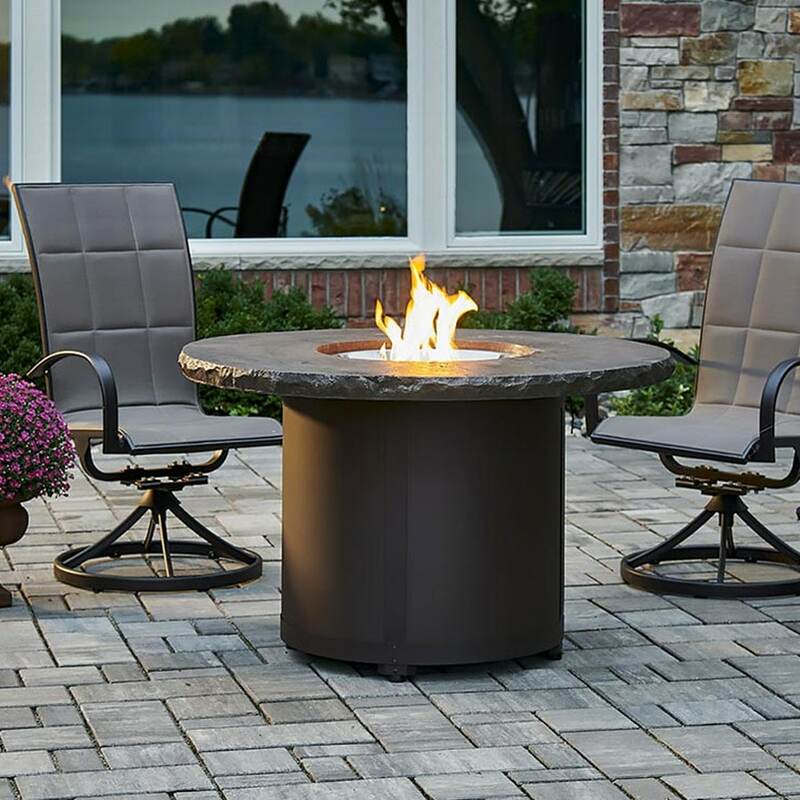 The versatile design of the Tropitone Banchetto collection allows for the combination of one of the brand’s four most popular table top designs with one common base. 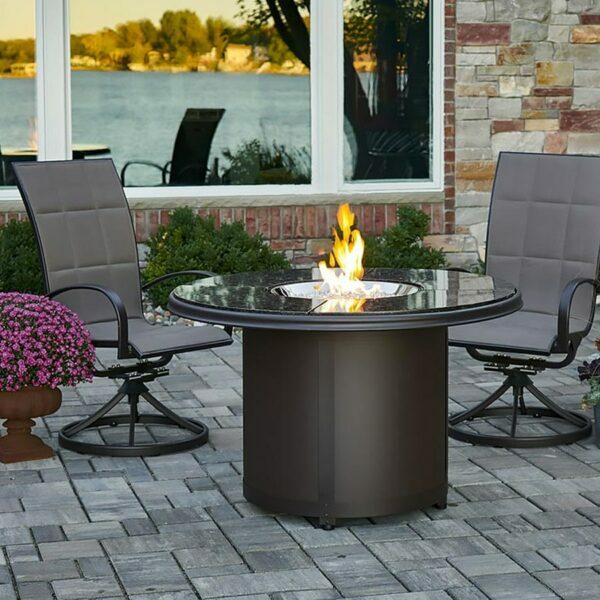 The 54″ rectangular fire pit table extends this popular design with beauty, function and warmth to provide the versatility for any outdoor space. 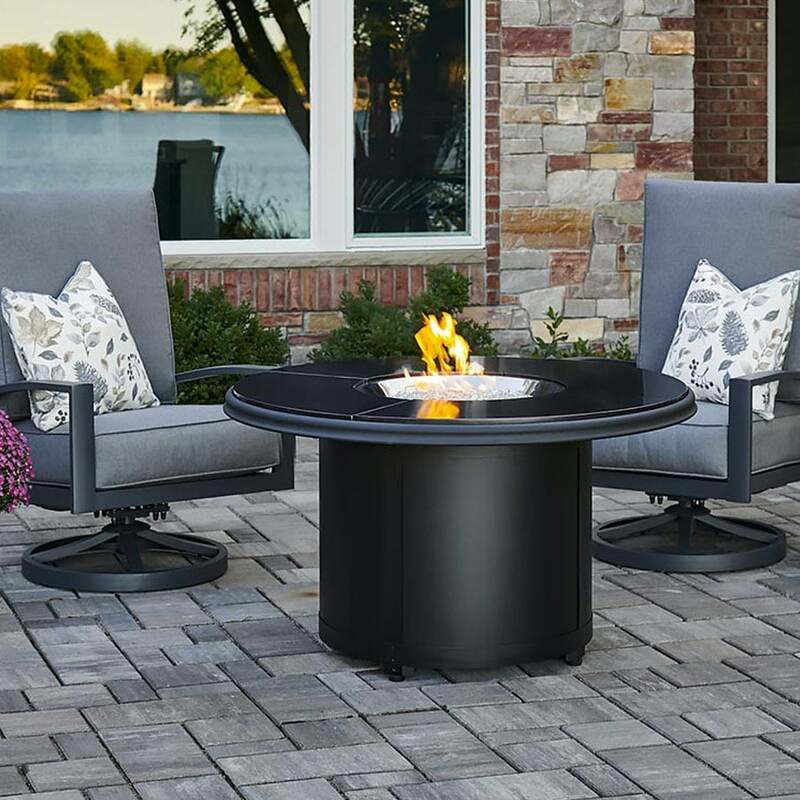 The easy-to-care-for composite deck top and base on the Kenwood Chat Height Linear Gas Fire Pit Table brings a modern, but warm look to your outdoor room. 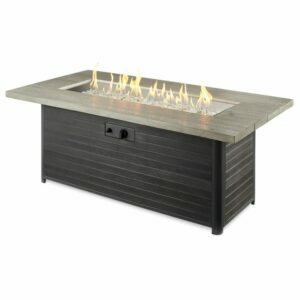 The unique elevated fire burner is UL listed for safety and will wow your guests. 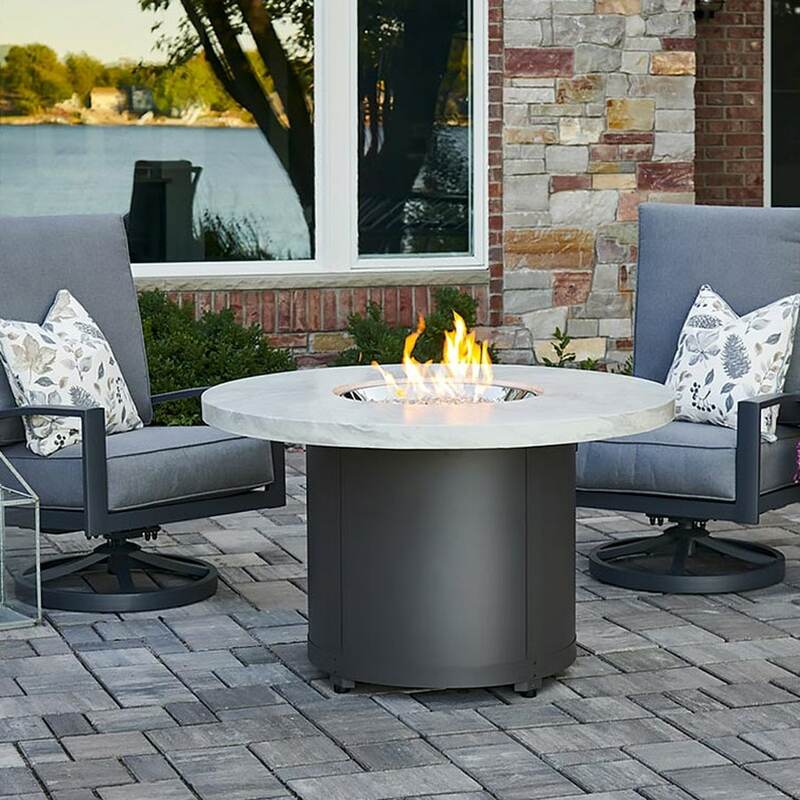 The Monaco by Firetainment will beautifully brighten your backyard while creating the perfect space for dining and relaxing with your loved ones. 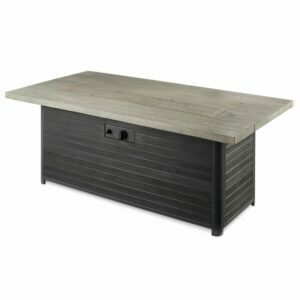 This eye-catching table is the perfect centerpiece for any outdoor space or party. Its unique rectangular design provides a wealth of space for entertaining all of your guests. 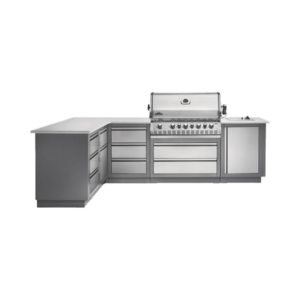 This unit is a Marx floor model and includes the Firetainment universal cooking package, azul platino polished granite top, platinum-colored fire glass and glass wind guard.